February is Black History Month in the United States, and Community Nature Connection has been highlighting black women and men that have and continue to make an impact in the environmental movement. Here are five outstanding individuals that show us how vital #OutdoorEquity is in peoples' ability to connect to nature. Audrey and Frank have been pioneers in the environmental conservation movement since 1995. They embarked on a journey through various National Parks where they were stunned by all the beauty these natural spaces provided. They where also shocked to see the lack of diversity in park visitors. Realizing that this was a greater issue, they have since then dedicated their life to advocating for increased diversity in public lands. They are also co-authors of the book: Legacy on the Land: A Black Couple Discovers our National Inheritance and other amazing books. Dr. Wangari Maathai was an internationally well-known Kenyan environmentalist. In 2004 she became the first African women to receive the Nobel Peace Prize for “her contribution to sustainable development, democracy and peace.” She was also the first woman in East and Central Africa to earn a doctorate degree. In 1977, Maathai founded the Green Belt Movement, an environmental non-governmental organization focused on planting trees, environmental conservation and women’s rights. Dr. Wangari passed away in September 2011 but her legacy and achievements continue to live on. 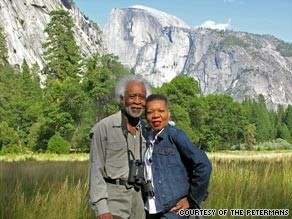 Norris McDonald is the founder and President of the African American Environmentalist Association. The AAEA is an organization dedicated to increasing African American participation in the environmental movement, enhancing human, plant and animal ecologies and protecting the environment. He was also the first black environmentalist to work as a professional in Washington DC. The lack of black professionals in environmental work groups inspired him to start the AAEA. McDonald, to this day continues to work towards the increase of African America participation in the preservation of the environment. Barbara Hillary is the first African American woman and oldest person on record to reach both the North and South Poles at the young age of 79! As a community activist, Ms, Hillary was the founder of the Arverne Action Association, INC, a group dedicated to improving the life in Arverne, New York and the Rockaway Peninsula Community. She was also the founder and editor-in-chief of the Peninsula Magazine, a non-profit and multi racial magazine in Queens, New York. Hillary continues to prove that outdoor adventure is for everyone regardless of race, age, gender or mobility.